Your wedding and engagement ring are the most important pieces of jewelry that you own and you would not trade them for the world. However, sometimes you may catch yourself having ring envy and longing for something different to change up your bridal set from time to time. Though some women may choose to have their engagement ring reset or their ring upgraded, deep down these options just might not be for you. A great alternative is to purchase a gemstone eternity ring to add a bit of new flair to your bridal set. Select a birthstone that belongs to a loved one’s birth month, or a gemstone that happens to be your favorite color. There is no right or wrong way to add a new addition to your bridal set. Personally, I love the freedom of being able to wear different setting styles and gemstones in accordance with my mood or what I’ll be wearing for the day. 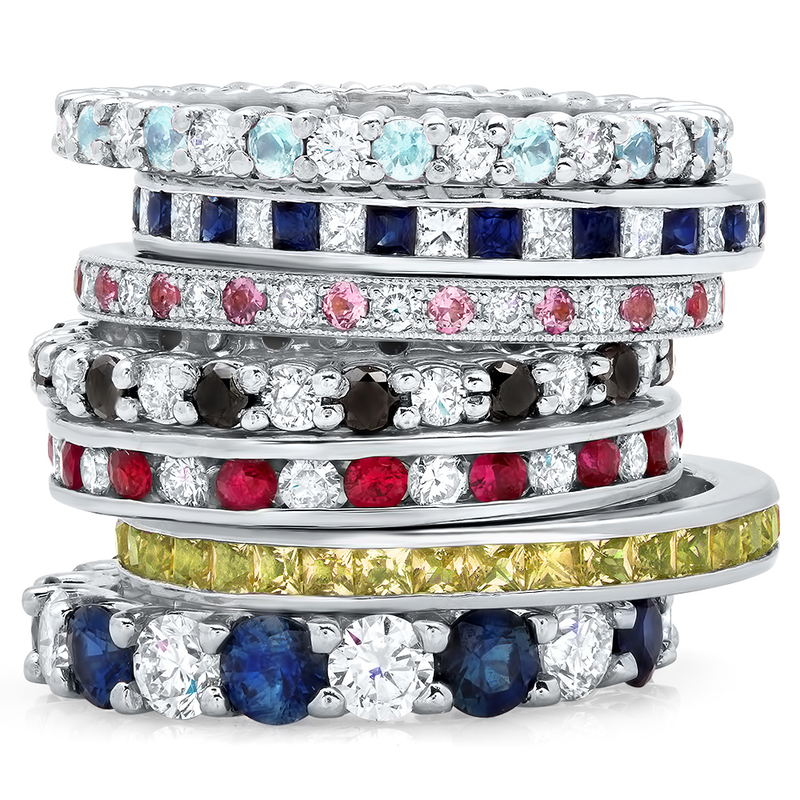 We have an unmatched selection of gemstone eternity bands, including diamond and gemstone options. By using our filters, which include price, total carat weight, and more, you can easily navigate the products that you are interested in. If you are interested in creating a custom eternity ring, please give us a call at your convenience to speak to one of our jewelry design experts. We are able to custom manufacture virtually any piece of jewelry to your specifications. We would also love to assist you in finding the ring that would complement your bridal set the best.